I had the privilege to talk over the phone with author Sonya Chung about her new novel, The Loved Ones (Relegation Books, 2016). The novel impressed me greatly with its concise and well-manicured prose, strong narrative, and meticulously thought-out characters. Anchored in Washington, D.C., The Loved Ones examines the intersections of racial and ethnic culture, as well as how trauma affects people in dramatically different ways. In addition to her latest work, Sonya Chung is the author of Long for This World (Scribner, 2010). A staff writer for the The Millions and founding editor of Bloom, she is a recipient of the Charles Johnson Fiction Award and has been nominated for the Pushcart Prize. Chung has held the Bronx Council on the Arts Writers’ Residency, a MacDowell Colony Fellowship, and a Key West Literary Seminars residency. Her stories, reviews, and essays have appeared in Threepenny Review, Tin House, Huffington Post, Buzzfeed, Late American Novel: Writers on the Future of Books, Short: An International Anthology, and in the forthcoming anthology Wherever I’m with You (Seal Press). She has taught fiction writing at Columbia University, New York University, Gotham Writers’ Workshop, and College of Mount St. Vincent. Currently she lives in New York City and teaches at Skidmore College. TQ: Your new novel, The Loved Ones, is a large, multigenerational story. It covers a lot of time and space. What challenges did that pose for you in outlining and structuring the book? What kind of research did you need to do for it all to make sense? SC: I’m glad you started with a technical question. Those are a bit easier to answer. I did have to do a fair amount of historical research. The way I came at it was grounding each character in a historical context. Alice Lee, for example, is coming of age in the late ’60s and early ’70s. She’s involved in campus protests against the Vietnam War, so I had to do research around that. The Korean sections of the novel take place during the Japanese occupation, the Korean War, and the early ’70s, so I had to research those eras, as well as camp towns, which are the areas around army bases. The research has to do with the way the history shapes the characters. Some characters also had age milestones that needed to be considered. Interestingly, part of the story takes place in Washington, D.C., in the mid-1980s, which was the time of my own adolescence, but I actually got some of that wrong. My memory failed me! We caught small things in copyediting, such as stores and restaurants that didn’t exist yet. TQ: That sounds like a huge undertaking. With that in mind, did you know where the story was going when you started writing it? Or did it come into its own, and then you worked out the details afterward? SC: When I sat down and started writing, I didn’t know where it was heading. I started very small, because I had just spent three years working on another novel that never saw the light of day. I put that novel away, and it died a tragic death. So when I picked this up, I really just started with one character. Then came an interracial relationship, and the narrative voice. I knew the story would be told in this kind of spare, omniscient third-person narration. But I didn’t know much as far as plot or timeframe. Those things kind of worked themselves out. An original draft went ten years further into the future, but I hit a point in revision where I realized the whole thing wanted to be smaller and a bit quieter. Another thing I’ll share that might be helpful for writers is that I really struggled with structure. I often struggle with structure. I start with characters; the questions of structure come later. It’s always the last third that’s the hardest, because you write and write, and it’s interesting and you’re engaged, but then you need to make the writing “do” something. So when I’m lost, I look to models. I go to my bookshelf and sit down with the novels I think work really well. In this case I ended up studying Annie Proulx’s story “Brokeback Mountain.” It’s a long short story that covers decades. And, as in The Loved Ones, the explosive, shocking event happens in the first third. Then it keeps going and moves over time. So I spent time with that story and mapped it out and used that model as scaffolding. I needed to see the shape. TQ: Yes, to your point—I think a lot of writers struggle with falling flat at the end, in that final third. But to change course, another important part of your book, especially considering the current literary conversation about diversity and cultural appropriation, is that The Loved Ones deals with many different racial, ethnic, and gender identities. It explores them in detail. How do you write characters from different backgrounds confidently? How do you sense if you’re representing diverse characters accurately? SC: It’s sort of paradoxical, because you can’t write them confidently. You write them with fear and trembling. I always knew it was going to be a risk to write a lot of different characters. Writing a white woman, a black man, older Korean characters, even Hannah Lee, the Korean American female—the question of authenticity is there for me with all of them. Risk and danger can be productive, though. It’s hard to teach, but it makes the difference. I had to find access points. Personal experience was important for me in even imagining writing this book. I am in many ways defined by my culture as a Korean American and Asian American, but I’m also obviously an individual and can’t be boiled down to my cultural attributes. That duality in my own identity is how I approached each of the characters. They’re shaped by race and culture and history and institutions, but also they’re their own strange, interesting individuals. TQ: Absolutely. I think it’s easy to see that you paid attention to that balance, when one reads the novel. The characters seem aware of cultural stereotypes and react to them. When writing this book, did you expect it would become part of a larger conversation about cultural representation in literature? SC: You can’t really think about that stuff when you’re writing, but once it went into production and we began to have publicity conversations, I had two fears. One was that the book would get mired in a controversial discussion that would prevent it from getting to readers. The other fear was that the racialized world of the novel and the things that I care about would be overlooked and whitewashed or not even discussed. I’m really glad now, when I talk about the book, that the questions surrounding it seem to be comprehensive. TQ: The Loved Ones also contains stories about immigrants, as well as the love and loss of culture. The book takes a complex look at racial and ethnic culture in the wake of globalization. How do you find a global context in your writing, and how do you think that relates to the political climate of today? SC: The Lee family, the primary immigrant characters, their story is one of trauma. They suffer a lot before coming to the United States. Along the lines of what I’ve said so far, their trauma is both sociopolitical—living through the Japanese occupation and Korean War—but it’s also individual and personal. It’s the trauma of a love story, and of family conflict. I wanted to portray those hardships and show that everyone has more of a story than we realize. In The Loved Ones, the Lees are a very particular type of immigrant family. They’re isolated. They keep their heads down and don’t want to cause trouble. And I can’t help but look back in history and remember Japanese internment in World War II and anti-Asian violence around the Vietnam War or when Japanese cars and electronics flooded our markets. American citizens of Asian descent were forcibly imprisoned in World War II, and there have been instances when violence was committed against them. This is the time for all groups to stand together and think about current and potential hate crimes and all violations of justice. Things are really uncertain. TQ: Besides being a novelist, you’re a staff writer at The Millions and founding editor of Bloom, as well as on faculty at Skidmore College. Does your background as an educator and critic inform your writing and change the way you approach your craft? It’s a privilege to make a living as a teacher, mostly because of how much I get to read and study literature. The dirty secret is that we teachers create our syllabi around what we want to read or study more closely. With that said, I always teach the chapter about narrative point of view from James Wood’s How Fiction Works. It’s the first thing I teach in my fiction workshops. It has been incredibly helpful to me. For example, with The Loved Ones, one of the early things I knew is how much narrative distance I wanted to have from the characters, and Wood helped me with that skill and concept. TQ: When you’re teaching, do you focus on mechanics or the larger emotional level of a story? SC: Well, it can be both. I try to focus certain students toward certain things. Undergraduates especially have a problem with overwriting, so with them I might focus on “show, don’t tell.” But we also definitely talk about the “aboutness” of a story. Among my colleagues I find myself a bit in the minority in being totally committed to the sentence level. In my classes we do Elements of Style. We ask what happens if you build sentences around your verbs or master the use of the comma. You can’t do everything, but sometimes mastering one thing makes a lot of other issues go away. TQ: I’d say calling you a voracious reader is an understatement. You publish your reading list on your website, and it looks like you consistently average about one book per week. What are you reading now? What are a few books that stood out over the past year? What are you excited to have been reading over the past few months? SC: Ah, I hate this question. It’s always so hard, because you get certain things from specific books. But I’ll name a few if you’ll indulge me. One book I’ve been reading that’s perfect for the current moment is Jeff Chang’s We Gon’ Be Alright. It’s a collection of nonfiction pieces that goes deep into where we are and how we got here, in terms of racial politics and violence. It’s eye-opening and moving. Chang is both a great storyteller and a rigorous journalist. An old classic I just finished that blew me away was Bonjour tristesse by Françoise Sagan. I don’t know if people are still reading it, but it’s just stunning. Told from the point of view of a teenage girl, it’s disturbing and strange and honest. To name a couple of well-crafted, quiet books that aren’t getting a great deal of press: My publisher, Dallas Hudgens, published his own collection of stories, Wake Up, We’re Here. It’s the reason I ultimately felt comfortable going with this tiny publisher, Relegation Books, because when I read Dallas’s work, I knew it was something I wanted to be a part of. Another is a book by Rae Meadows called I Will Send Rain, which is a beautiful family story set in the Dust Bowl. Last, in terms of a new, compelling voice, Rion Amilcar Scott’s debut collection Insurrections is really good. He is definitely someone to watch. 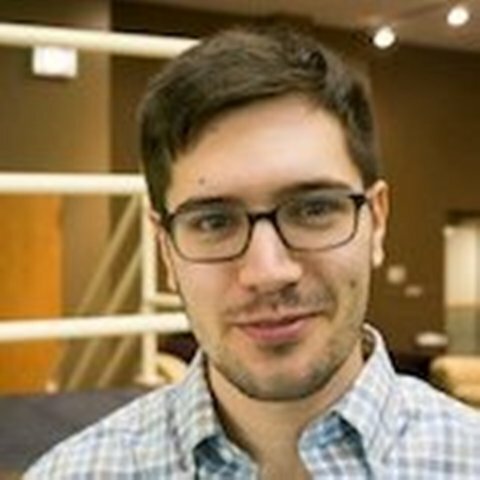 Aram Mrjoian is an editor-at-large at Chicago Review of Books and the assistant managing editor at TriQuarterly. His writing has appeared or is forthcoming in The Millions, Kenyon Review online, Longreads, Joyland, Colorado Review, Gigantic Sequins, Tahoma Literary Review, The Masters Review, and many other publications. He earned his MFA in creative writing at Northwestern University and is currently pursuing a PhD in fiction at Florida State University. Find his work at arammrjoian.com.